The master bedroom, with comfortable king sized bed, is spacious and leads to a spotless bathroom. Linens for all beds, extra pillows and sufficient towels for your stay are always provided at SunHost resorts. Weekly maid service is also included with this unit. The added bonus is this unit is a short walk to all amenities! 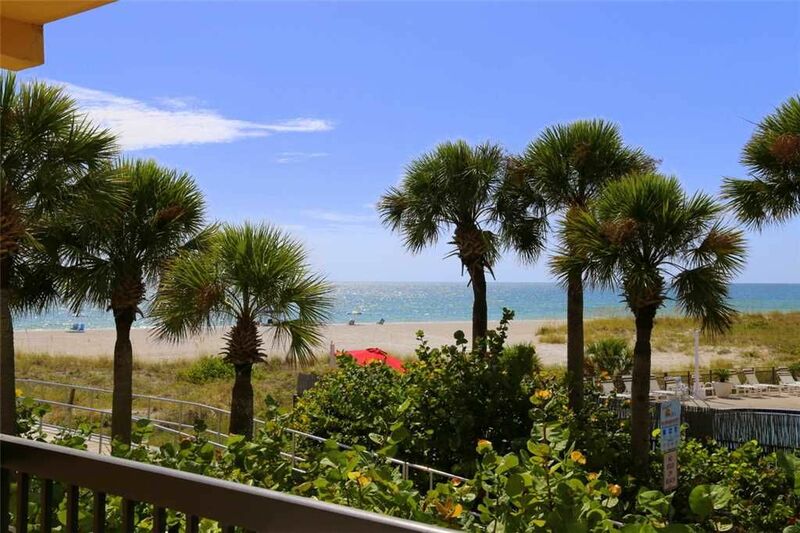 You can be at the beach, heated swimming pool, BBQ facilities and John's Pass Village in less than five minutes! At the "Pass" you and your family and friends can enjoy shopping, restaurants, and entertainment along a 1,100 pirate themed boardwalk. A quaint turn-of-the-century fishing village and Pinellas County's #1 tourist attraction. The Village has over one hundred unique shops, a variety of restaurants, the local fishing fleet, dolphin watching and shelling tours, boat rentals, parasailing and jet skiing. Best of all as a SunHost customer you can walk to this great entertainment destination. Anchor tenants include Bubba Gumps, Hooters and Hubbards Marina and also world famous Bamboo Beer Garden. Love this place and the location. I think we have found our new home away from home, at least until we retire and become neighbors. The condo was nice and clean.Red Tide was all over the beaches so we couldn't go but no big deal.Monday was pest control day-they just walked in,no knock or anything.3rd day the water was shut off.Attempted to go to the pool,full of drunks,they were in the water with their beers and cooler floating. They were so loud we couldn't even enjoy laying out in the sun there.The people above us stomped all day and night like a heard of elephants.Our private parking space in the garage was occupied all day on the 2nd day and had to park out by the road,called the office and no one did anything about it,they were in our space 9:00am-8pm.No warning that Red Tide would be on the beach even though after reading about it,it's there every fall.It all reaked of rotting fish. We had to stay in or leave for most of our stay. The people 2 doors down on the 3rd floor were loud and obnoxious until 1am for half of our stay.Even though the condo was clean and nice,with everything else we would not stay again. My family and I had a great time. The apartment was clean, the staff was beyond helpful, the pool was awesome, and the beach was fabulous. Having lots of fun at the beach, pool and the Madera Beach area... thanks for the nice accommodations!